Home/Blog / How Long Should Swelling and Numbness Last After a Facelift? 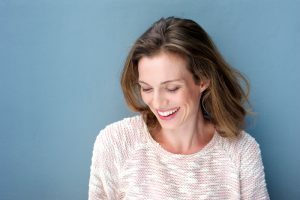 One of the most common questions our board certified facial plastic surgeon gets asked is how long to expect the facelift recovery process to take. Downtime following this operation will vary depending on the patient; however, there’s usually a predictable series of stages. Once a patient returns home, it’s normal to experience swelling and bruising that increases for the first few days and then begins to fade over the next few weeks. In most cases, individuals can return to work and normal activity after one to two weeks. If significant bruising remains, you are welcome to wear makeup to help cover these effects. The degree of swelling and bruising will depend on the technique used and your unique anatomical factors. Numbness in the treated area is also normal, and sensation should return gradually. We want you to feel as comfortable and prepared as possible during recovery. If you have any questions about facelift recovery, please reach out to us for more information or to schedule a consultation.